This is a critical time for the NHS with Andrew Lansley’s NHS Bill facing crucial votes in the House of Lords. Public opposition to the Bill is growing. A recent UNISON/YouGov poll shows that the majority (62%) of the public do not trust the government to handle the NHS and just one in four (26%) supports its controversial Health and Social Care Bill. 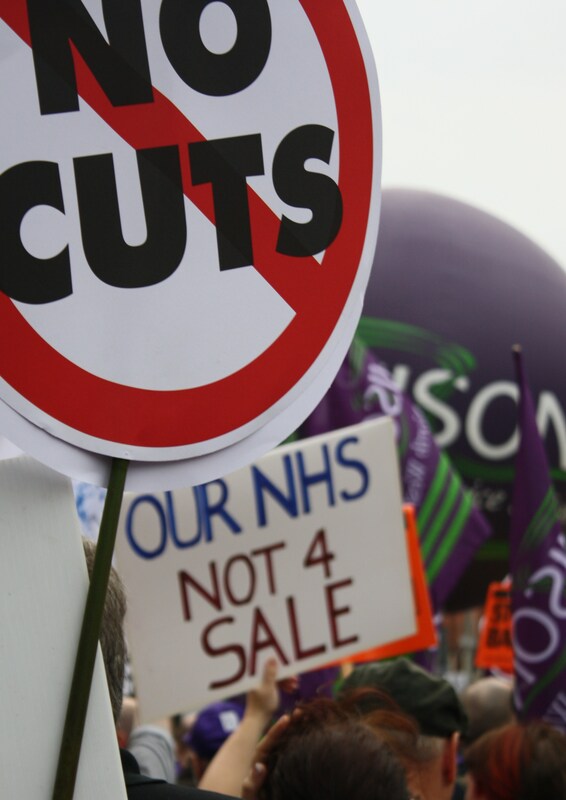 UNISON, alongside patients, NHS workers, other trade unions and medical professionals is calling on the government to drop the Bill. We need to send a clear message to the Government, “Hands off Our NHS.” North West TUC and UNISON are supporting a rally in Manchester on Saturday 3 March 2012. Further details and publicity will be circulated soon. This is just one of a series of public protests to be held across the country, and all are welcome to come along to show your support for the National Health Service. Please urge members in your workplace, friends and family members to attend this rally. If Lansley and Con Dems succeed in introducing this Bill, then the NHS as we know it will disappear. This will affect everyone, and we need everyone to demonstrate their opposition to the Bill. Want to do something now? Click here to sign the official e-petition to Drop the Bill and you can read more about it here.